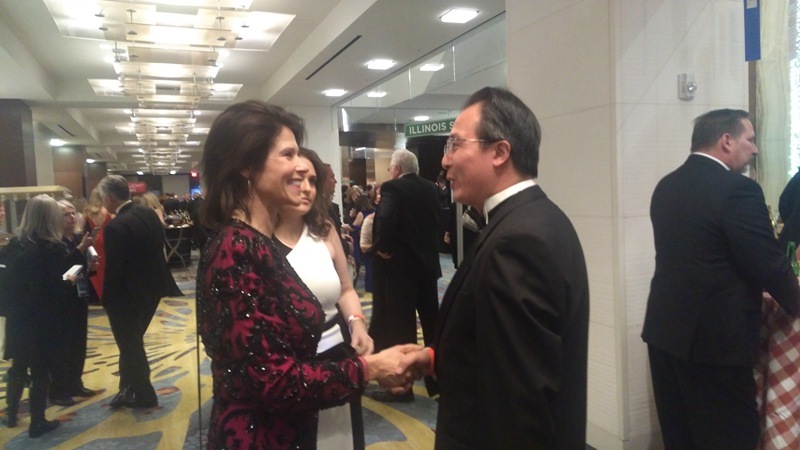 At the invitation of Illinois State Society of Washington, DC, Consul General Hong Lei attended the Inaugural Heartland Ball at Washington on January 19. 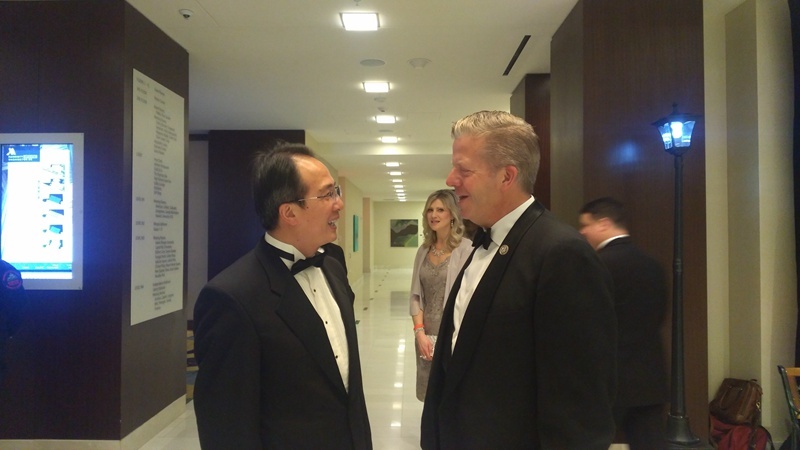 Also present at Marriott Marquis were over 1,000 Democrats and Republicans and government officials from Illinois including newly-elected Senator Tammy Duckworth and representative Robin Kelly of Illinois, who gathered to celebrate the upcoming inauguration of the 45th president of the US. 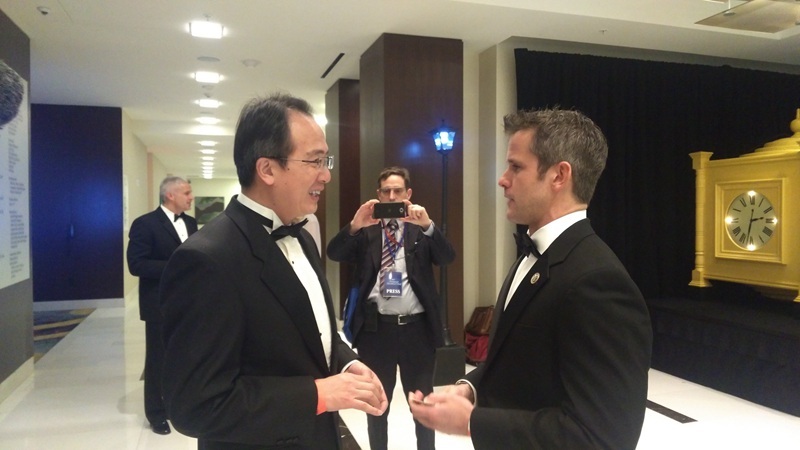 Consul General Hong Lei held talks with Senator Duckworth, former senator Mark Kirk, representative Robin Kelly, Peter J. Roskam, Randy Hultgren, Adam Kinzinger, Cheri Bustos, Raja Krishnamoorthi from Illinois, saying that China remains a major cooperation partner of the state of Illinois and bilateral relations are having a sound momentum with great potentials of cooperation. 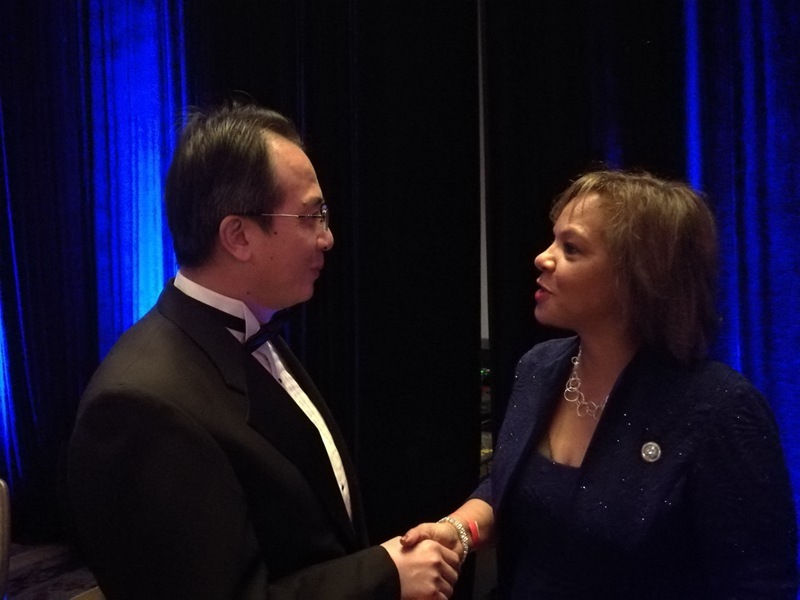 China is willing to work with all legislators to facilitate China-Illinois cooperation and the sound and steady development of China-US relations. 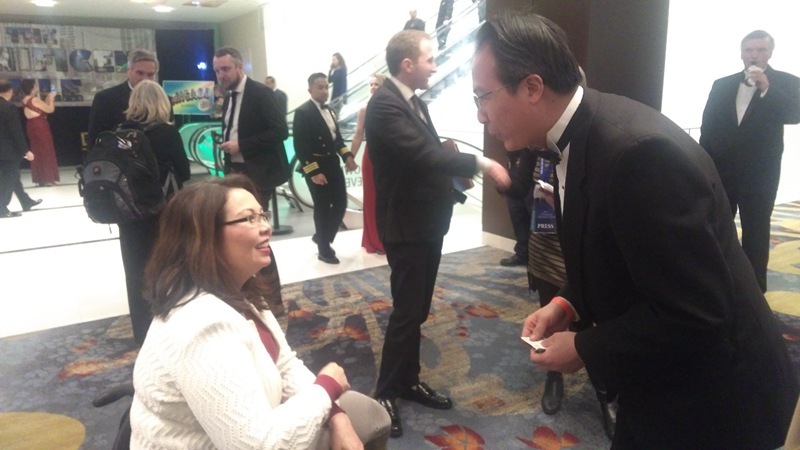 Senator Duckworth and others expressed their willingness to communicate with China and promote bilateral relationship as it is very important. 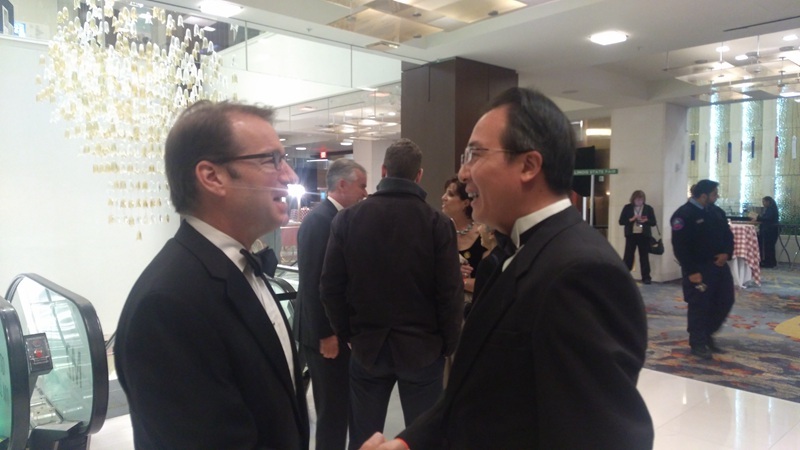 Representatives Kelly and Roskam happily recalled their visits to China, saying that they were deeply impressed by Chinese people’s hospitality, China’s rapid development and diversified sceneries. 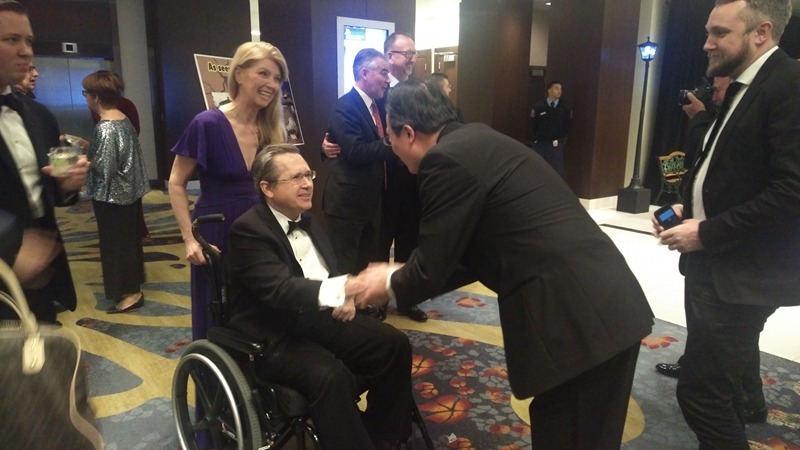 Former senator Kirk said he was honored and proud to have done something to enhance China-US relations while serving as the co-chair of the US-China working group of the US Congress, looking forward to visiting China with other colleagues this year. 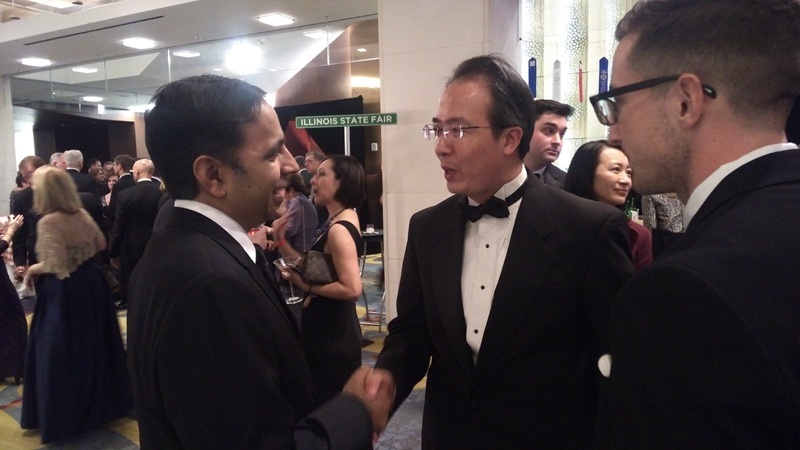 Representative Krishnamoorthi welcomed more Chinese companies to invest in the constituency 8 which he representes to deliver win-win benefits. Established in 1854, the Illinois State Society of Washington, DC is a non-profit and non-partisan organization with a commitment to promoting the history, culture, traditions of Illinois and facilitating mutual exchanges between Washington, DC and Illinois. This celebration was co-hosted by Illinois, Wisconsin, Missouri and other US states in the midwest.